RCE -Lighting, Energy, Technology, provides complete solutions for our customers. We are an installation and service provider for our trusted partners, from Amazon To Zarley, including Lowe's, Home Depot, Sears, Office Max, Best Buy, Sam’s Club, & Costco. Our services include basic installations like ceiling fans and service upgrades, as well as lighting installation and lighting upgrades. We specialize in LED fixtures and lighting techniques. Additionally, our energy services include solar, standby generators, electric vehicle charging stations and Tesla Powerwall battery installations. RCE has been in business since 1995 serving the entire Kansas City community. Fusion Electric is Kansas City's electrician for electrical repairs and service at your home or business. In our world, electricians fall into two groups… Electricians who care about you and electricians who don’t. And what’s more, you shouldn’t waste time or money on the latter. That’s pretty much our business model in a nutshell. We’re in the business of meeting your electrical needs… We specialize in every area of electrical work, from residential to commercial and everything in between. No job is too big or too small for us. Our electricians carry the latest expertise in the field and many years of experience. Over the years, we have served the electrical needs in almost every community located in the Greater Kansas City area. …But on a personal level. Although we may be in the business of electricity, we engage with our customers on a one-to-one basis ensuring every quote, every job and every interaction is personalized and focused on your electrical needs. We like to get personally involved. That means we ask a lot of questions and do a lot of listening. It’s the best way to garner you the results you’re looking for. We may be dealing in wires and voltages, but at the core of it, it’s all about the people for us. 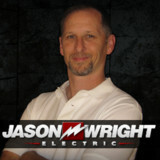 “With Jason Wright Electric, it’s as if you took an Electrician and combined it with a Concierge and created a ‘Concierge Electrician’.” As we continue to grow each year, we remain focused on what makes us different and more successful than the competition and that's working together to deliver service that's personal and tailored to you. It's what we do, but more importantly, it's what we believe in. Call us today to schedule an estimate for your electrical needs. We look forward to getting know you! MVP Electric, Heating & Cooling is a mid size Overland Park electrician, heating and air conditioning company available to help you 24/7. We are a local, family owned and operated business that began with one man and one truck. Our Overland Park Electrician services include the highest level of customer service for Heating Repairs, Heating Replacement, Furnace, Heat Pumps, Air Conditioner Repairs, Air Conditioner Replacement, Dehumidifiers, Indoor Air Quality, Duct Repairs & Installation, Residential Electrical, Commercial Electrical, Energy Saving Plans, and Home Theater. Serving the Kansas City, Mo, Kansas City, Ks., Douglas County, Ks. and surrounding Johnson County, KS areas as the premier source for Electric, Security, Lighting Automation, Audio and Video entertainment systems, Integrated Electric has the unique ability to take your projects from concept to completion--offering the finest technical expertise in the industry. iWire Electric Service is dedicated to providing top quality electrical services. Our work is always performed by professional, qualified Kansas electricians. 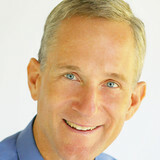 We are a trusted, reliable Lawrence electrician for Residential, Aluminum Wiring Replacement, Electrical Safety Inspections, Home Generators, Electrical Wiring, Electrical Repairs & Troubleshooting, Ceiling Fan Repairs, Lighting Repairs, Outlet Repairs, Lighting, Lighting Installation, Landscape Lighting, Security Lighting, Low Voltage Lighting, Panel Upgrades, Surge Protection, Commercial, and New Construction. Ryan Electric is Recommend as the best electrician in Johnson County, Kansas City, Lenexa, Olathe and overland park. We pride ourselves in being able to offer you a full range of electrical solutions at lowest prices. Family owned and operated since 1985, we can handle all of your electrical needs! What realy matters to us is getting the job done right from start to finish, whether it's renovating a room or making every day home repairs. By choosing qualified professionals to do the job, you not only lower the risk of property damage and personal injury, but T Lane Electric Inc does the job to (NEC) The National Electric Code. Our purpose is to safeguard persons and property from hazards arising from the use of electricity. T Lane Electric Inc takes the safety of our customers very seriously. We go one step further in letting you the customer know your options for further expansion. We strive to achieve the highest levels of customer service by setting standards for our employees. Our employees as electrical contractors are professionals dedicated to the ethical, responsible and professional treatment of our customers and are scheduled for the job they are skilled or tooled to complete. So whether you are in need of new installations, home repairs, or remodeling jobs, contact us in St Joseph, MO for superior electrical installation and repair services. Lamp & Light Electric is your trustworthy, local electrical contractor. We're trained and qualified to meet commercial and residential needs. At Lamp & Light Electric our goal is to provide quality, electrical services for both commercial and residential work. We focus on doing our work with excellence and efficiency. Whether you are in need of some updated lighting or a complete panel upgrade we are the certified licensed electricians for you! Teague Electric is not only the leading commercial electrical contractors in Kansas City, and we are also one of the leading residential electricians in Kansas City as well. Our KC electricians serve the Metro area including Overland Park, Olathe, Johnson County and the entire surrounding Kansas City area . We take service and quality very seriously and try our best to provide the highest quality electrical services at fair prices to Kansas City home owners. We provide emergency Kansas City residential electrical services as well. Our Kansas City residential electrical services range from small electrical fixture installation projects all the way to whole house electrical wiring and home generator installation. No residential electrical job is too big or too small for our licensed Teague electricians. Our residential electrical services team takes a great deal of pride in their work, whether they are replacing an electrical outlet, installing a ceiling fan, or running all the wiring for your new swimming pool or hot tub! What do licensed Kansas City electricians do? An electrical contractor plans, installs and repairs wiring in structures. He or she works closely with the home’s general contractor or remodeling contractor to determine the specific electrical needs for the project and to ensure that the wiring will meet Kansas City, MO building codes. An electrical contractor’s job also includes installing and repairing fixtures, switches and other visible components of electrical systems. With today’s technological needs and advances, many electricians in Kansas City, MO also are trained to install fiber optic and coaxial cables for electronic equipment. Certain electrical companies may design and install data systems and wire for security features such as alarms too. Some Kansas City electrical contractors specialize in specific areas, such as HVAC, low-voltage appliances and systems and more, so be sure to ask about their training to see if it fits your project needs. Find a certified Kansas City electrician on Houzz. Narrow your search in the Professionals section of the website to Kansas City, MO electrical contractors. Here are some related professionals and vendors to complement the work of electricians: Lighting Showrooms & Sales, General Contractors, Solar Energy Contractors, Heating & Cooling Sales & Repair.